Mt. 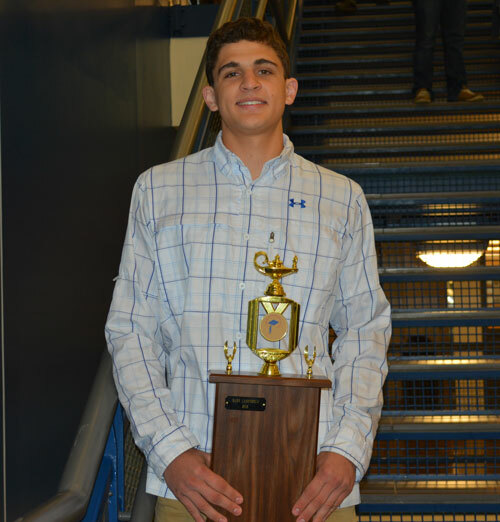 Lebanon High School junior Mark Lamendola was named a Carson Scholar recipient this school year. The Carson Scholars Fund was founded by world-renowned Johns Hopkins Pediatric Neurosurgeon Benjamin S. Carson and supports two main initiatives: The Carson Scholars Program and The Ben Carson Reading Project. The Carson Scholars Fund awards $ 1,000.00 college scholarships to students in grades 4 – 11 who excel academically and are dedicated to serving their communities. Scholarship winners receive the honor of being named "Carson Scholars" and are awarded a medal and a trophy for their school to celebrate their accomplishments. Students must be nominated by an educator at their school. Mark was nominated by High School counselor Dr. John Ambrose. Carson Scholars must have a minimum GPA of 3.75 and display humanitarian qualities through community service. Scholarships are awarded solely on the basis of academic achievement and humanitarian qualities, without regard to financial need, ethnicity, creed, or religion. In 1996, the first year that scholarships were awarded, 25 deserving students were recognized as scholars. Today, through the generosity of donors and partners, more than 500 scholarships are awarded annually. We are very proud to recognize Mt. Lebanon High School junior Mark Lamendola as a Carson Scholars award recipient this school year.